Noticing that there’re a large number of iPhone SE/5s/5C mockup templates out there due to the iPhone SE /iPhone 5S /iPhone 5C are getting more and more popular in the global market. So I decide to separate the iPhone SE/5s/5C mockup template collection from the 38+ iPhone Mockup Templates For App & Web Designer. 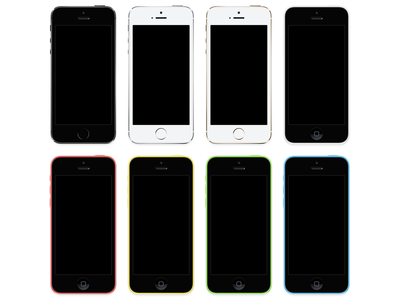 Here’s a frequently updated list of fresh new iPhoneiPhone 5S and iPhone 5C mockup templates for web & mobile designers. Free free to download and use them to showcase your App or web projects. These photo based iPhone and iPad mock-ups are a great way to display your mobile app with style. Replace the screen image with your own design via smart objects, make whatever adjstments are necessary and have your presentation done in minutes. Layered scalable PSD for you to enjoy on your projects. Showcase your mockups using the iPhone wireframe or, when you want to import the mockup in a prototyping app such as Invision, easily export just the screen area. 10 Free iPhone 5 PSD mockups with smart object inside to make it as easy as possible to drop in your design. This is a set of four high resolution mockups on real photographs. Each mockup contains smart objects that you can use to add your own screenshots. PSD also includes 5 photo filters for the backgrounds. Free to use and perfect for your presentations, web design or even for advertising purposes. Hope you all like it. Three iphone 5 mock-ups based on real professional photographs, that will make your design look as realistic as possible. The mockups are perfect for designers, developers alike, giving you a fantastic tool to aid you in your presentation. The set includes two mockup images in high resolution in an interior environment. The screens are smart objects so replacing them with your images will be really easy. Another super nice mock up in photoshop with 6 different colors. You can create a responsive preview of your website with this iPad & iPhone mock-up easily. Double click on Smart object and put your website screenshot and save it, It’s really cool. This is mockup for iphone 5 with landscape & portrait view. Scalable & customizable vector PSD mockup for flatness lovers. A super clean and sharp iPhone mock-up, perfect to present your app or web theme. Replace the screen easily via smart layer, color correct to your liking and you’re good to go!